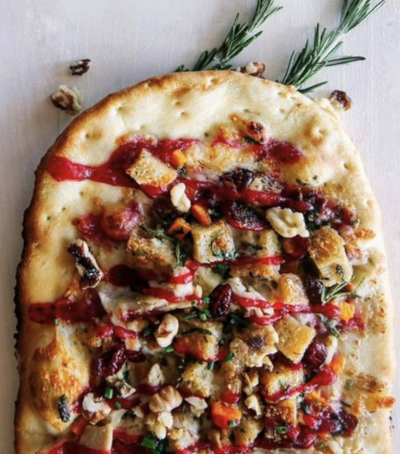 Oh ye procrastinators, it’s not too late to book Christmas dinner at these six wonderful Manhattan restaurants, even at this ungodly hour. 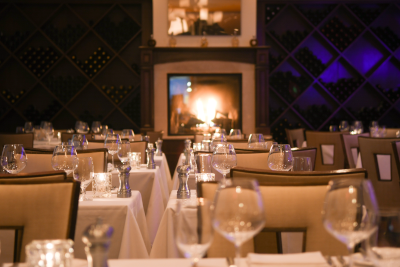 Unwrap your Christmas-Day presents, pre-game with a glass of eggnog or Champagne, and enjoy a delicious dinner with no clean-up at these varied choices that exemplify holiday coziness, tradition, and the New York City holiday spirit. 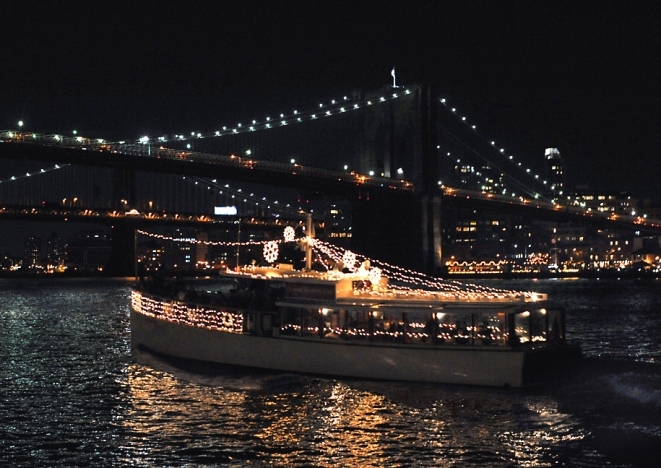 It’s almost Christmas in New York City — well, not really. But Christmas festivities and sales start earlier and earlier each year and decorations are popping up all over the city. This year, you’ll have to do a bit more planning if your children hope to sit on Santa Claus’s lap. 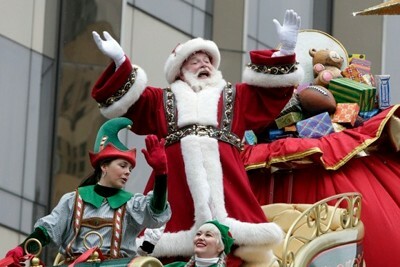 Macy’s wants to make the process more efficient and handle the huge number of people lining up to visit Saint Nick. Santa makes his appearance at “the world’s largest department store” from Thanksgiving through Christmas Eve, but you’ll need to reserve online to get a spot. Starting just before Thanksgiving, you can book a spot at Macy’s Santa Land at Macy’s Herald Square, 8th floor, at https://www.macys.com/social/santa-land/. No walk-ins are allowed, so don’t delay. Spots will go quickly, particularly after the ads sure to come during the Macy’s Thanksgiving Day parade on Thursday. 151 West 34th Street, Manhattan. 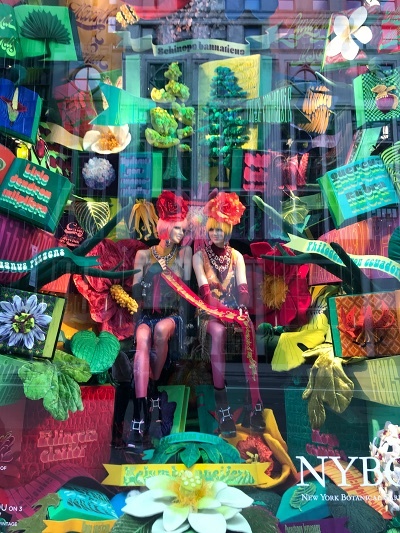 Holiday windows are starting to appear all over the city. Now is the perfect time to visit before the mad Christmas rush. Particularly appealing, Bergdorf Goodman’s “To New York with Love” windows showcase some of New York City’s most iconic places this year, including the New York Botanical Gardens, the Museum of the Moving Image, the New York Historical Society Museum & Library, the American Museum of Natural History, and the New York Philharmonic. www.bergdorfgoodman.com, 754 Fifth Avenue, Manhattan. 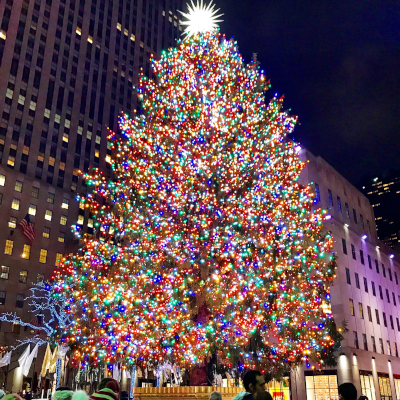 Look for others at Saks Fifth Avenue (“Once upon a Holiday”), Barney’s New York (“Hass for the Holidays”), Bloomingdale’s (“The Greatest Showman”), Lord & Taylor (“The Best and the Brightest”), and Macy’s Herald Square (“The Perfect Gift Brings People Together”). After the December frenzy winds down, you might actually be able to fit some shows into your schedule. 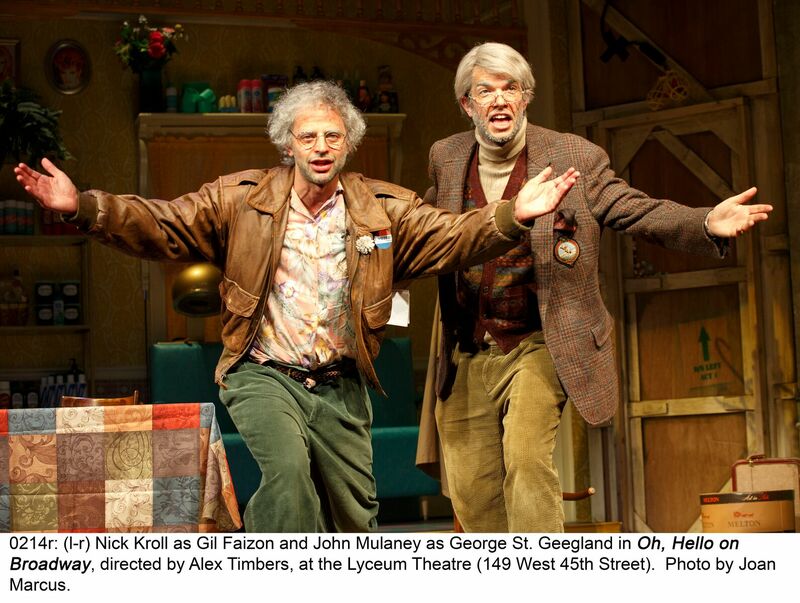 Here are two don’t-miss shows for you, two for the family, and one that everyone can enjoy. Theater tickets also make great stocking stuffers! 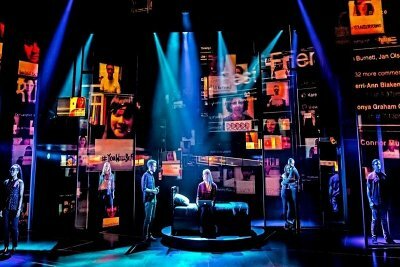 Dear Evan Hansen – Treating a serious subject with an innovative set, production and score, Dear Evan Hansen is important viewing for adults and teenagers. 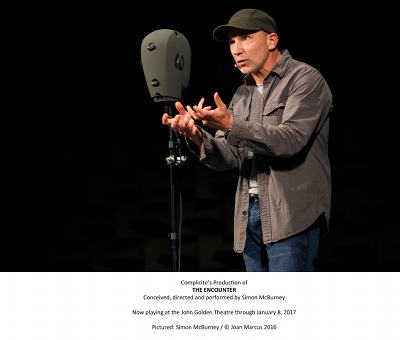 From the brilliant director of Rent, Grey Gardens and Next to Normal, Michael Greif, the play, score and subject matter might seem familiar, but the production is anything but. Starring Ben Platt, a serious contender for a Tony Award, this musical deals with feelings of not mattering, of not fitting in, and other angst, particularly relevant today. How do you feel about promulgating lies and deception? 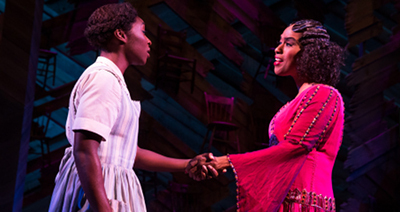 This musical tugs at every emotion. www.dearevanhansen.com. Longacre Theatre, 220 West 48th Street. Tickets: www.telecharge.com or 212.239.6200. 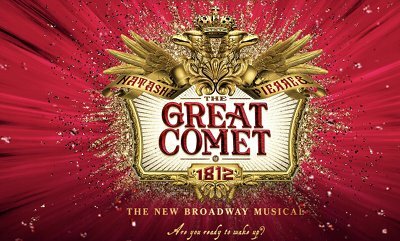 Natasha, Pierre & the Great Comet of 1812 – Based loosely on a portion of Tolstoy’s masterpiece War and Peace, the Great Comet is a revelation on Broadway. Sit on the stage, next to a runway where characters and musicians frequently travel, or in a perch in the mezzanine, and you’ll be privy to an experience akin to being in a Russian salon. The music is part-Russian, part-club, part-folk, part a-lot-of-styles, and it’s magnificent as is the talent. Breakout star Denée Benton is brilliant as Natasha, the countess engaged to Andrey (Nicholas Belton) but seduced by Anatole (Lucas Steele). 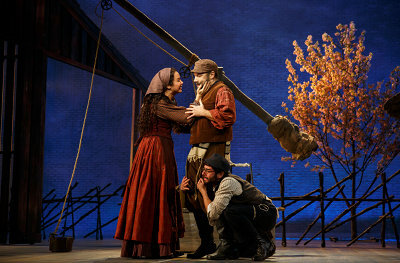 Josh Groban’s acting debut is as amazing as his tenor (or baritone), with a presence that is magnified with each statement and each song. 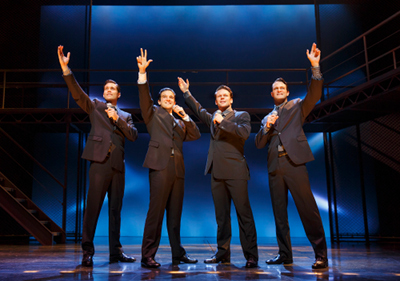 The other leads are every bit as wonderful and you’ll find yourself wishing they could all sing even more, despite the fact that the musical is virtually an opera with minimal spoken dialogue. Prepare yourself for a boisterous and wondrous ride, special effects included. www.greatcometbroadway.com. Imperial Theatre, 249 West 45th Street. 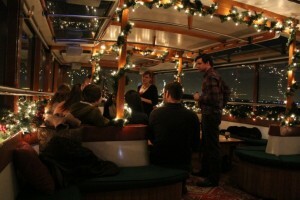 Tickets: www.telecharge.com or 212.239.6200. 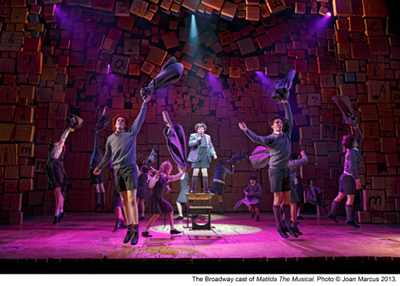 Wicked – One of the longest-running musicals on Broadway, Wicked has a charm that appeals to all ages, to anyone who has ever loved The Wizard of Oz. Glinda, the lovely and bubbly “Good Witch,” is a perfect foil to green-skinned Elphaba, her schoolmate and the eventual Wicked Witch of the West. Bring the kids, come early, don an authentic Wicked costume, and have your photo taken in the Photo Booth. This pre-quel to the Oz story will be around for a long time. 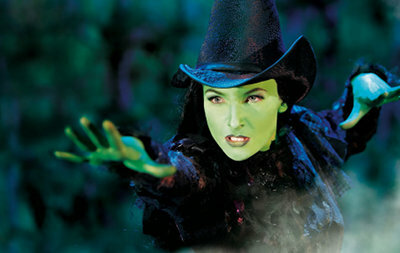 http://wickedthemusical.com. Gershwin Theatre, 222 West 51st Street. Tickets: www.ticketmaster.com or 877.250.2929. 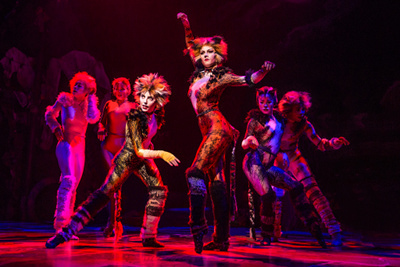 Cats – Now in its second life on Broadway, this smaller-set Cats is a great musical to introduce your family to Broadway. Try to sit in the orchestra, where the Jellicle Cats routinely slither down the aisle, making eye contact and feline gestures as they move. The play, based on the poems of T. S. Eliot with music by legendary Andrew Lloyd Webber, doesn’t have much a story. It’s pretty much a succession of profiles about each of the cats. But the music, dance, and energy of the show make for a fun afternoon or evening. And Mamie Parris’s version of “Memory,” the song that helped win Betty Buckley a Tony in 1983, will make your own hairs stand on end. www.catsbroadway.com. Neil Simon Theatre, 250 West 52nd Street. Tickets: www.ticketmaster.com or 877.250.2929. Cirque du Soleil Paramour – Part Cirque du Soleil, part musical, completely theatrical, Paramour is a creative take on the Golden Age of Hollywood. Watch for the breathtaking aerial pas de deux that flies over the audience in this first Cirque du Soleil musical spectacle, specially created for Broadway. 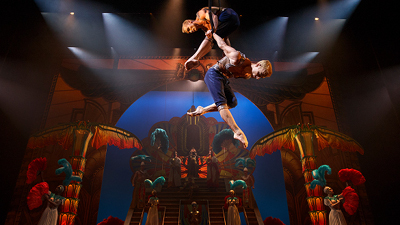 Actors and singers mix seamlessly with Cirque du Soleil performers in 15 different circus acts. 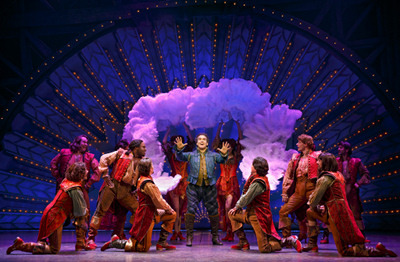 www.paramouronbroadway.com Lyric Theatre, 213 West 42nd Street. Tickets: www.ticketmaster.com or 877.250.2929. It’s beginning to look a lot like Christmas, although it feels like the Fourth of July. Did we skip Thanksgiving? It’s so confusing, but at least we have the time to start our holiday shopping (Christmas, Black Friday) without wearing a winter coat or heavy boots. 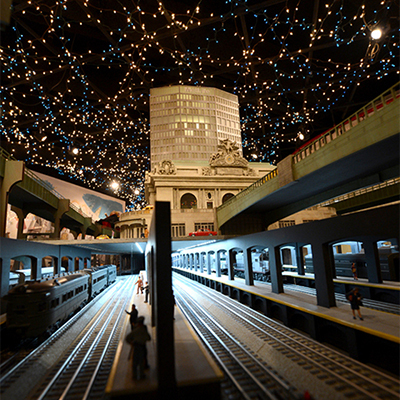 And you can also get your holiday inspiration going by visiting the New York Hall of Science starting November 13 to see what might just be the world’s largest gingerbread village. Again. 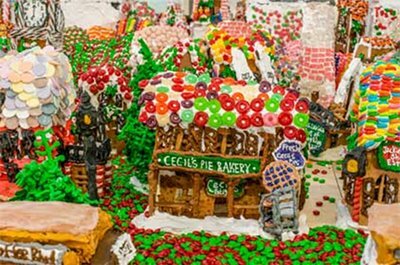 Jon Lovitch, master chef and creator of GingerBread Lane, has achieved the Guinness World Record for the past two years for building the largest continuous gingerbread village in the world. While others have contended that theirs might be larger, GingerBread Lane has been the winner hands down, meeting all criteria: only edible ingredients, handmade craft, and contiguous structures. Last year’s village was laid out in a circle, allowing a complete circumlocution around the village. This year’s version promises to be even more creative, covering 500 square with more than 1050 houses, a double-decker carousel (like the historic one on the Coney Island boardwalk), and the S.C. Kringle & Co. Department Store reminiscent of New York City’s own long-departed Gimbels of the 1900s. Also new will be a candy factory you can see inside of as you climb the stairs to view the exhibit. The exhibit runs from November 13-January 10, 2016. 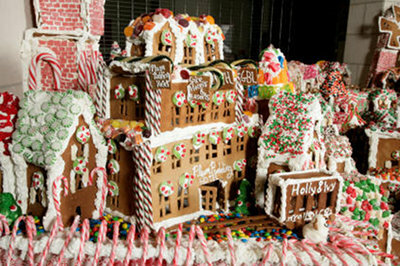 On the last day at 1pm, all gingerbread houses are given away free. The line starts early, sort of like getting into a Rolling Stones concert. Kids unable to visit due to illness or other personal situations can contact info@gingerbread-lane.org to have a house shipped to them. www.gingerbread-lane.org. New York Hall of Science, Flushing Meadows Corona Park, 47-01 111th Street, Queens; www.nysci.org.